Every trip will have a guided tour of the Vienna State Opera House, home of some of the world’s finest operatic performances. In addition to the spectacular auditorium and stage are rooms full of great art, including Rodin’s famous bust of Mahler (director of the opera from 1897 to 1907). Vienna’s second opera house, the Volksoper, is a great place to see an operetta, musical, or one of the more popular operas. Other operas are at the Theater an der Wien, where Beethoven gave several premieres and was the site of first performances of Johann Strauss and Franz Lehar. The Musikverein is the most famous concert hall in the world. Since its first concert in 1870, every important musician has performed there from Furtwangler to Toscanini to Bernstein. Mahler, Bruckner, and Schoenberg stood on its podium to conduct their works. Dr. Nelson will even show you where Brahms sat when he was musical director in the 1890’s. Vienna’s other world-class concert hall is the Konzerthaus, home of the Vienna Symphony Orchestra. 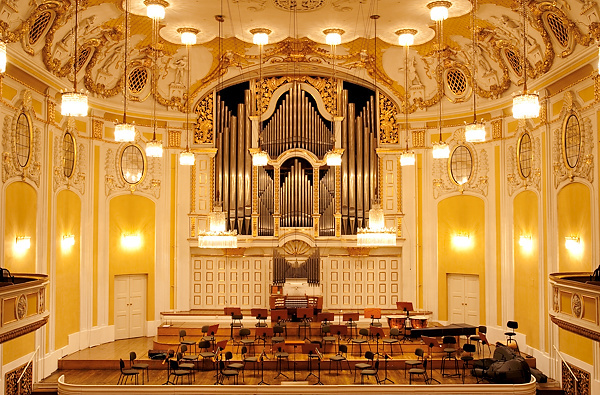 Salzburg’s Mozarteum concert hall is a great place to hear chamber music, a solo recital, or a small orchestra. It is the city’s most beautiful concert hall. The new Mozarteum conservatory building also has an excellent hall for chamber music. The three halls of the Festival Houses are home to the famous Salzburg Festival. Its large hall features one of the widest stages in the world, sometimes creating problems for opera singers to get from the wings to the center of stage on time to sing! 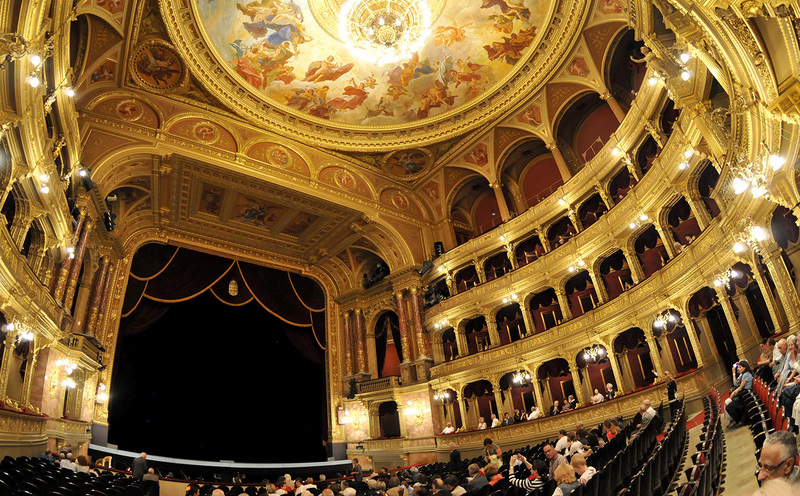 Music lovers know that a gem in the operatic world is the opera house in Budapest. Opened in 1884, it was built to rival the famous opera house in Vienna. Today, many feel that this building in Budapest is the most beautiful of any opera house in the world. I loved riding bikes and getting lost in Salzburg with the small group that ventured off on our free day.